way to the top | Meet a LinkBuilder and Learn Everything about SEO! As Charles Darwin coined it; it’s the survival of the fittest where the weak has no place to belong to. So in order to survive, one will be so willing to do everything (no matter how unethical it could get) so as not to be singled out. This same thing happens in the World Wide Web, whether you believe it or not. Got lost? Okay, each and every website, especially online business ones, aims to be on the top spot. This is because the top spot offers more visits. More visits means more sale. More sale means profit. Who would want their site to be at the bottom anyway? Who would want their site to be “invisible” and “not searchable” on the web? 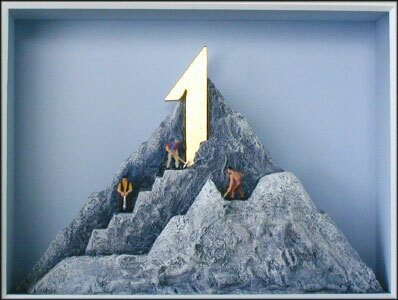 Some may not want to be the highest but others consider that being among the top, if not being on the very top, will do. Question there is, how? How can a website get into the high spot? Yes, you’re right. It could be quality of the web content. After all, content is the king. The interesting and unique the articles found in the site, the more visitors it could most likely to attract. But you know what? That’s not all. There is also what you call SEO or search engine optimization where techniques are being implemented to have the site be frequently visited. With search engine optimization, a site will undoubtedly be among the best, and top! Like any procedure or strategy, there are good and bad sides of it too. One example I would like to site about the bad side of it is the spam concept. We are all familiar on how spammers work on our emails, right? They would load our inbox with useless mails. It is almost the same with SEO. Unnecessary information (hidden texts) can be placed to the site in hope that this will give more weight to search engines thus attaining a high rank position. Wrong! This is unethical and unacceptable. Search engine optimization experts would like to remind people who practice such that once they get caught and banned, you will definitely have the hardest time to convince back the search engines that your site is worth looking and visiting at. Keep in mind that playing fair is still the best way to be on the top.